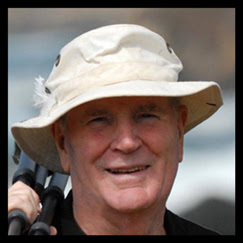 I hope that 2016 has been treating you well so far! I’ve been busy since I last connected with you so I want to update you on the good things happening in my life. This is not a brag, just the amazing things that happen when I allow Spirit to connect and direct. After taking a year off, I’m now volunteering again as Board President for the Sacramento Fine Arts Center located in Carmichael, CA. One of my first duties was to produce the annual Poetry/Art/Jazz Show in late January and it was a standing -room only great time! We combined art with music by the Brubeck Institute Jazz Quartet and poetry performances by poets from the Sacramento Poetry Center on the same stage to an amazing and amazed audience, again this year! 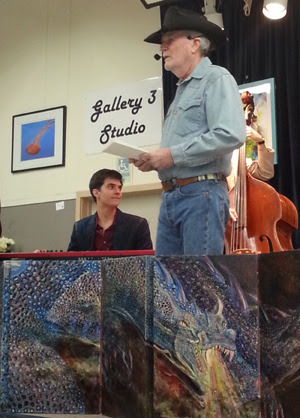 Inspired by the striking dragon sculpture that was on stage with us, I read my poem, Oh No, Dragons!, about oil in Kern County where I’m from. This was a great opportunity to wear my favorite hat that reminds me of my childhood growing up “in the nation’s real country music capital.” Merle RIP. He was in my high school class. 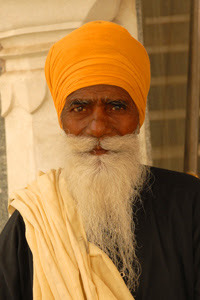 Watch for my India in Color show that’s coming soon. More on this as it gets closer. I’m happy to report that I’ve reached a huuge milestone in my greeting card sales—over 52,000 cards have been sold. Since I make all of the cards myself, this is a labor of love! I love making them because it’s 52,000 ways to make people happy. First, they bring joy to the buyers of the cards, then the recipients. Sometimes people frame them so they can enjoy the images all year long. There’s no better way to touch more than 52,000 people and bring a dose of happiness into their lives. 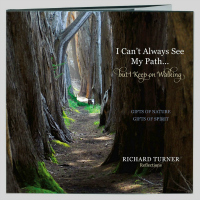 Sales of my book, I Can’t Always See My Path…But I Keep On Walking, are still going strong. Please don’t miss this opportunity to have what some are calling “a classic of spiritual literature, reminiscent of Rumi”. 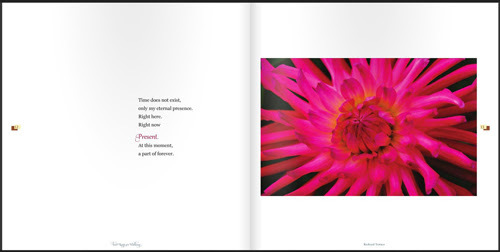 The Crocker Art Museum is now selling the book and greeting cards, too. Click on the link to purchase My Path, a wonderful gift. 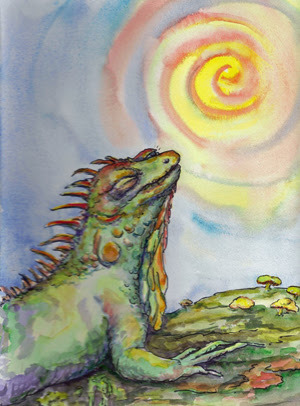 And, I’m working on my next book, The Tale of Old Iguana. It’s a children’s book with amazing illustrations by artist, Sheila Jacobs. The images Sheila has created truly capture the essence of this story of acceptance. I’m excited to share it with you when it’s released! California’s Botanical Landscapes: A Pictorial View of the State’s Vegetation book that I mentioned to you last fall is finally out! It’s a reference book but it’s also filled with stunning photos which make it closer to a coffee table book with serious information than just a reference book. 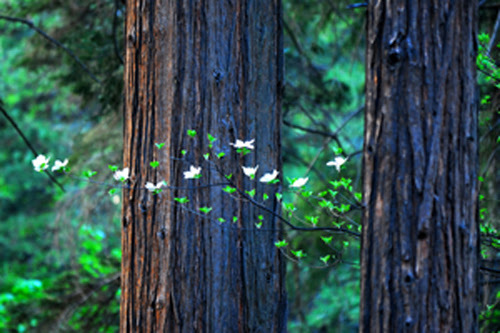 One of the photos included is my image of a dogwood tree just in blossom in Yosemite. The California Native Plant Society publishes this and you can find it on their website here. I am honored to have been selected as one of the artists who will provide artwork for the new Rideout Memorial Hospital in Marysville. To have been chosen as a part of this public venue and to have 57 photographs of beautiful flowers selected for display throughout the hospital is a rewarding experience. The work will help temper the stress patients feel when facing heath challenges large and small. I am humbled by this experience. I am filled with love, happiness and joy for all of these experiences. Sharing them with you is my way of sharing how big things can happen by starting with small (12) steps that build upon each other. PS: Like my page on Facebook to join our conversations there and to see all the fun things that don’t make it into these e-updates. 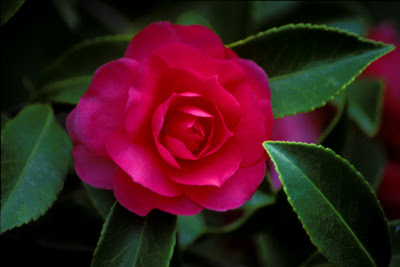 This entry was posted in News, Photography Book and tagged Flowers, Hospital, India, RichardTurner, RideoutMemorial, SacramentoFineArtsCentere.